Prepare to be amazed by its beauty. 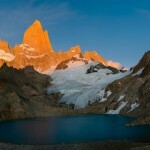 Just let go and immerse yourself in local atmosphere, live in a fairytale for a short time. Admire beautiful architecture while sipping tasteful local beer. 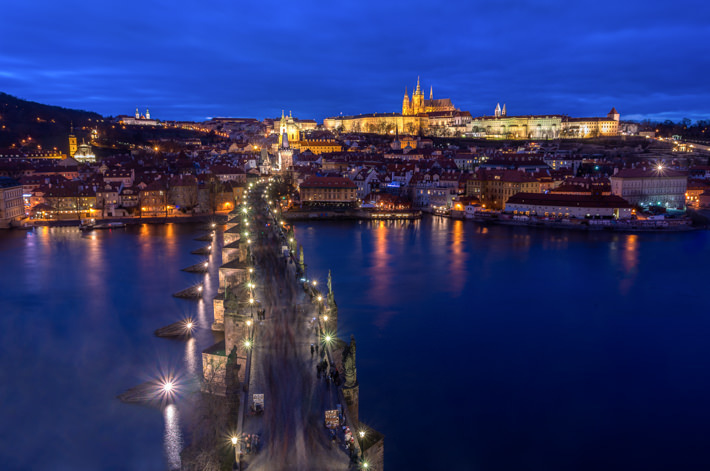 Prague is packed with churches, bridges, towers and to top it all of it has fairytale castle on the hill. 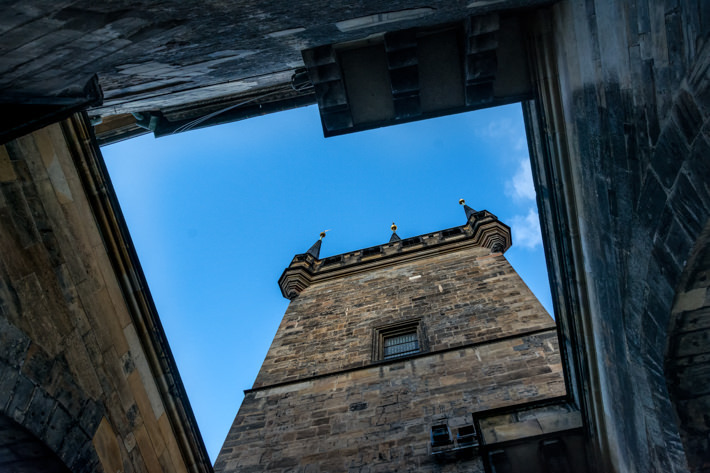 You can admire the beautifully preserved old part of the city from the Old Town Hall tower. 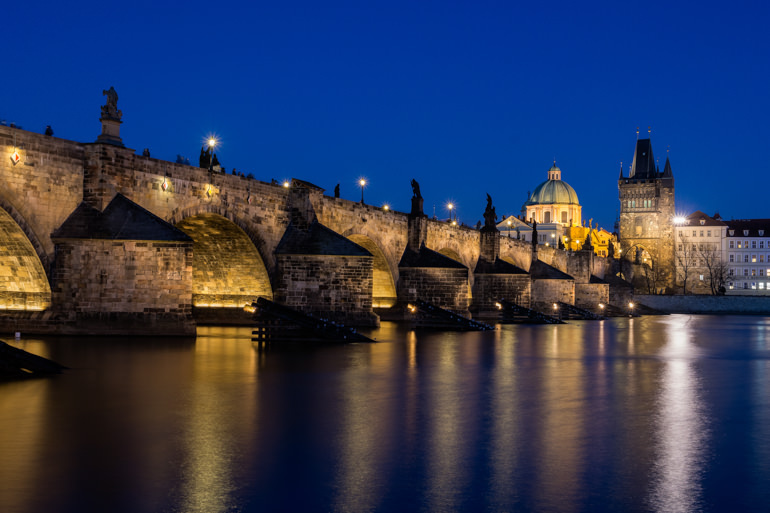 Prague’s most famous attraction would definitely be Charles Bridge, which is crowded by tourist during the day. It is 620m long and 10m wide, and it has 30 statues on it. Artist, performers and beggars make their daily living on it.Walk to the other side of the bridge and travel back through time. On the other side you can admire Hradcany, a castle district with a enormous castle on the top. It is a treat for the eyes. Climb up the hill to Letna park and you can see city panorama with Vltava river, dividing Prague into two parts. 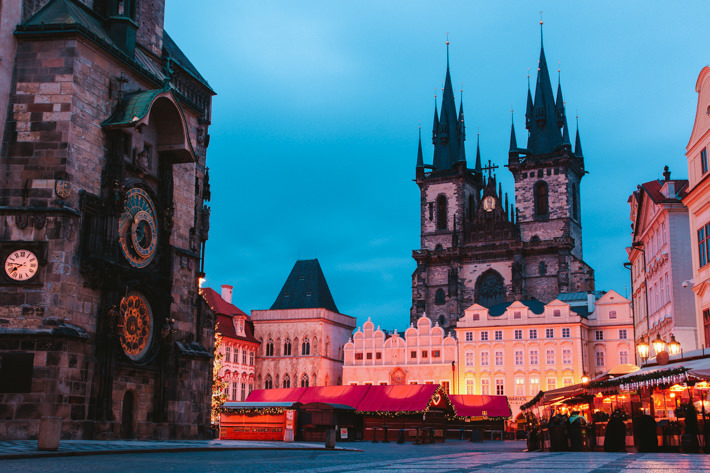 Czech are famous by the beers and you can choose from many different brands like Kozel, Staropramen Budweiser,… If you come in winter time, make sure that you have enough of clothes with you. 🙂 Temperatures below zero in combination with strong wind can take a toll on you. 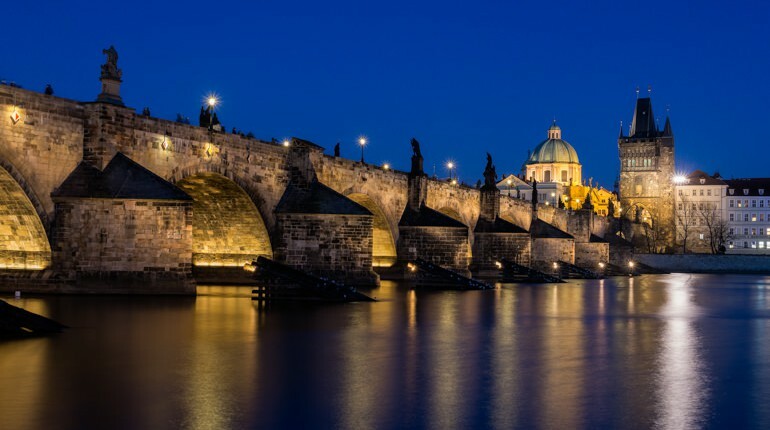 Famous Charles Bridge connects Old town with Castle district Hradcany. Bridge was considered the most important connection between two districts. Prague Castle sitting on the top of Hradcany district on the other side of Vltava. Prague castle is a symbol of power and used to house kings, emperors and presidents. It is supposed to be the biggest ancient castle in the world. Now is a home of President of Czech Republic. Old town square with Astronomical clock on the right. Its full of bars, restaurants and shop. Tourist overwhelm square during the day. 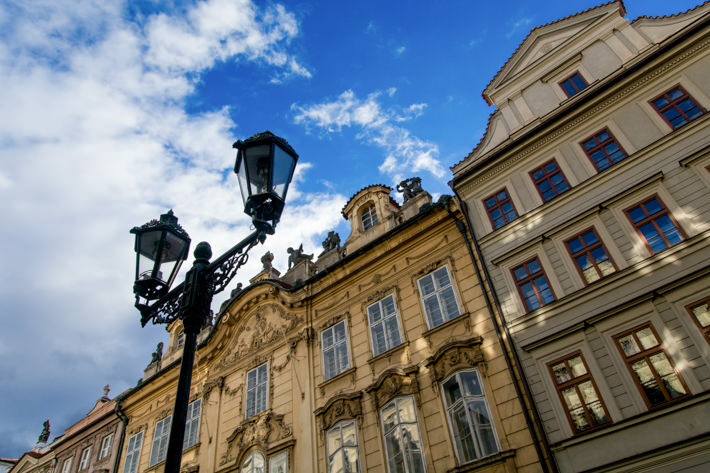 You can see beautiful Baroque architecture in Castle district. Tower at the end of Charles Bridge. 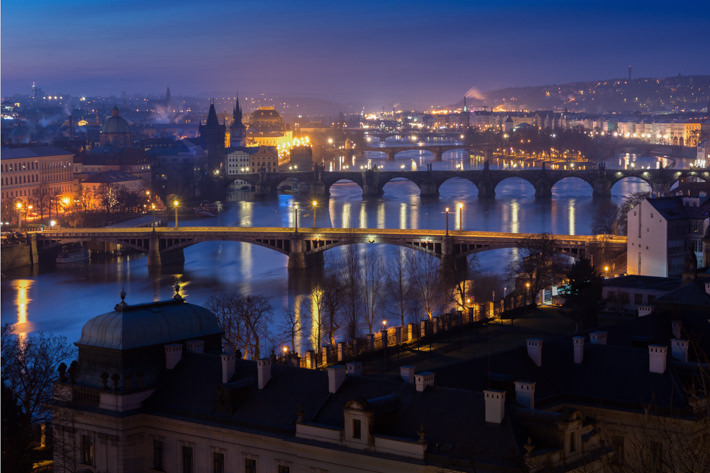 Numerous bridges over Vltava connect Prague Old town with Hradcany district.